(Reuters Health) – Obese adults who get surgery to lose weight may have an easier time getting a full-time job than they would without these operations, a French study suggests. 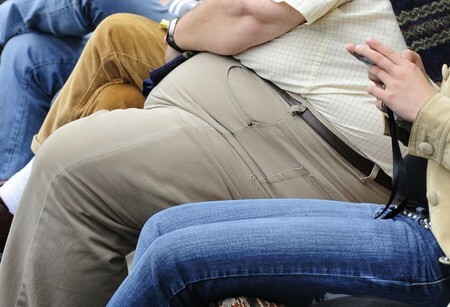 Researchers followed 238 patients who had obesity surgery between 2010 and 2015. Before the procedures, 158 of them, or 66 percent, had full-time jobs; two years later 199, or 84 percent, were employed full-time. “Our study shows positives changes in employment status two years after bariatric surgery in a (severely) obese patient population,” said senior study author Dr. Fabian Reche, a surgeon and professor of medicine with Grenoble Alps University Hospital in France. “This positive change is more obvious for women, who are more discriminated against than men for work, because of their obesity,” Reche said by email. More than four in five patients in the study were women. The proportion of women with full-time jobs increased from 73 percent before surgery to 90 percent two years after the procedures. There wasn’t a meaningful difference in total weight loss between people who remained unemployed or underemployed throughout the study and patients who found full-time work after surgery, the study also found. Both groups lost roughly 30 percent of their body weight. Researchers classified participants as “persistently unemployed” if they had only part-time work, a temporary disability that prevented them from working or were searching for a job. They counted full-time enrollment in college and maternity leave as full-time employment. For adults, a body mass index (BMI) of at least 30 is considered obese, and a BMI of at least 40 is classified as severely obese. (An online BMI calculator for adults is available from the U.S. Centers for Disease Control and Prevention, here: https://bit.ly/2bLiujh). The study wasn’t a controlled experiment designed to prove whether or how weight loss surgery might improve patients’ job prospects. Researchers also didn’t examine what type of work patients found or how much they earned. Even so, it’s possible that losing weight helps people find work by improving their physical or mental health, or by making them less likely to experience weight-based discrimination when seeking employment, the study team notes in Surgery for Obesity and Related Diseases. “Candidates for bariatric surgery are (severely) obese and have generally impaired health-related quality of life and mobility, which limit employment,” said Jean-Eric Tarride, director of the Center for Health Economics and Policy Analysis at McMaster University in Hamilton, Ontario. “It is also well known that obese individuals face weight-bias job discrimination compared to non-obese individuals,” Tarride, who wasn’t involved in the study, said by email. SOURCE: https://bit.ly/2vQqc6R Surgery for Obesity and Related Diseases, online July 19, 2018.